Our Easter bank holiday weekend started off at Towcester on Sunday with Le Pergolese running in the ‘Bet Toteexacta Novices Handicap Chase’ he ran an absolute blinder under an excellent ride by Dougie Costello on his first ride for the yard, running a career best race to finish 2nd. He will run in a similar race in the next fortnight. Our next port of call was Chepstow Racecourse on Monday , what a ride Tokyo Javilex was given by Sam Twiston-Davies who him himself had a four timer on the day, Tokyo Javilex was notching up his third win in a row with his form figures since we sent him chasing. This horse is still maturing and is coming into his own, hence why we have been stepping him up in grade/trip gradually, we think the world of this horse and being half brother to 2009 grand national winner Mon Mome, he will keep on improving. This was our fifth winner out of our last 7 runners at Chepstow racecourse. Both horses have come out of their races really well. We will not have any runners this week which means our season has come to an end, but wow what a season it has been! With 19 winners, 14 seconds, 6 thirds, 20 fourths, and £129,773 in prize money , which included a winner at Cheltenham’s November meeting, a winner at Aintree, a double at Sedgefield Racecourse and a double at Chepstow Racecourse. The horses have done us really proud all season and it is even more rewarding that we have had them since they were foals. We were absolutely delighted to see tiger roll win the triumph hurdle at the Cheltenham Festival 2014, who we produced to win first time out and sold on at bright wells for a handsome profit. We would like to say a big Thank you and well done to all of our owners who have supported us, to our sponsors Connelys Redmills Ireland and Junction24, Somerset, to our vets, who are some of the best in the country, Ray Dilliway, James Bosley and Andrew Aalker, to our farriers Persse Farriers ltd , osteopath Piers Wilmott, to the many jockeys who have ridden for us, A P McCoy, Sam Twiston-Davies, Tom Scudamore , Jason Maguire, James Best, Kieron Edgar, Tom Cheesman and Robert Hawker. 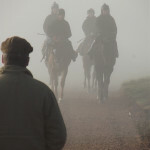 But the biggest pat on the back must go to the people who do the real hard work and keep the show on the road producing the results all year round wether it be rain, hail, snow or sunshine which is the staff, headed by assistant trainer Joe Tickle, Mel, Danni, Callum, and Rodi. We will have a small select team of horses to run over the summer months and we are really looking forward to next season with many new faces both horses and staff. Exciting times ahead for Thorne farm!! 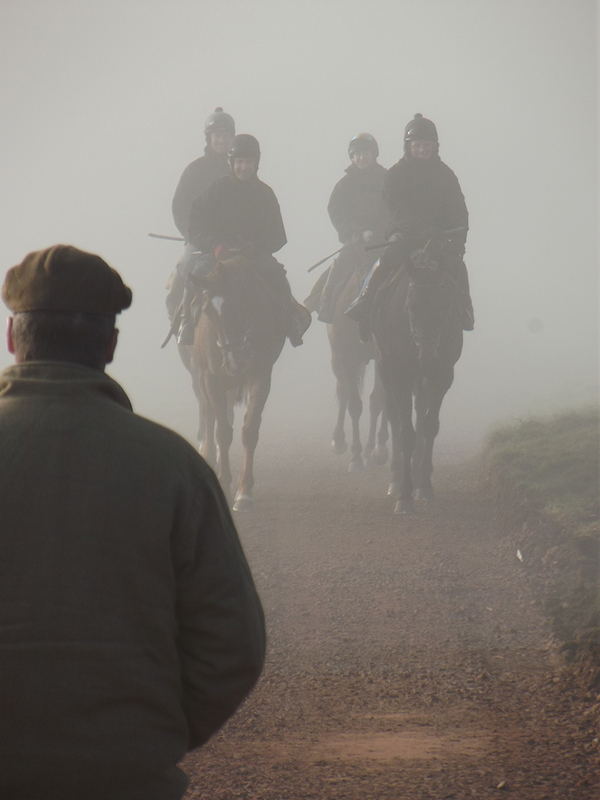 And a big thank you to all of the people who have followed our horses throughout the season and have acquired about their well beings after their runs. Another great day for Thorne Farm with our second double of the season at Chepstow racecourse Saturday. Samingarry has been a star since he’s started chasing, winning the feature race of the day at Chepstow yesterday ‘The 3m Novices Limited Handicap Chase‘ he was given a very good ride by James Best, jumping really well throughout and powering home to win by 9 lengths. This is the horses second course and distance win adding to Aintree and Exeter. This was a competitive race and some very shrewd judges think a lot of this horse and there is a big pot to be won with him. He has come out of his race really well and will now be roughed off and turned away for a busy campaign next season. The hugely talented but very frustrating Master Neo won the 3m handicap chase also at Chepstow Saturday , and again given a brilliant ride by James Best jumping really well throughout and also winning easily by 9 lengths. This horse has had a lot of problems both mentally and physically but is a huge credit to all involved with him to get him back to winning ways, this was his second chase success and hopefully a step in the right direction for the apple off davids eye, he has come out of his race really well and may run again this season. A huge well done to grand national winning connections of Pineau de Re, this really brave horse was given a great ride by Leighton Aspell and trained to perfection by Dr Richard Newland, it is 23 years since Nigel Hawke had his day in the spotlight when winning the big one aboard Seagram. Samingarry and Master Neo after their triumphs at Chepstow with Kirstie and David. ‘Le Pergolese’ who was quite heavily backed on his handicap chase debut travelled well though out the race, jumped well enough , just finding the trip to far, he will now be dropped back in trip and hopefully get off the mark. The 12yr old ‘Mister Wiseman’ who has won 7 races is starting to show signs that he is falling out of love with racing, he may have one more run and then take stock and decide on his future. He has been a great servant to the yard it will be a sad day when he retires. We have three runners at Chepstow Racecourse tomorrow, ‘Greybougg’ who has finished mid division in his two bumpers runs in the ‘2.30 32red welcomes microgaming players ‘national hunt’ maiden hurdle 2m’ to be honest this horse has been disappointing on the track whilst he works exceptionally well at home, he has been schooling well but handicaps may be more his game. In the 3.00 ‘ play immortal romance at 32red handicap chase 2m’ Tokyo Javilex takes his chance, he won last time out at Sedgefield Racecourse under a excellent ride by Jason maguire who we hope gets well soon, this horse is improving all the time and has been schooling and working well and in what is a small field we expect him to do the business. In the ’32red microgaming casino maiden national hunt flat race 2m’ we run ‘The Unnamed Soldier’ who was 2nd here on debut over course and distance, this is a great big strapping horse who is improving all the time and 3 mile chasing will ultimately be his game. He has improved since his last run, if he runs the same sort of race he should be there abouts. All three horses at Chepstow tomorrow will be ridden by Sam Twiston-Davies which is a huge advantage to us as he is an exceptional rider and provides us with good feedback and he wants to win just as much as we do.